As well as the computer is being used in digital marketing. That is why it is very important to learn computer at today’s time. Now I will tell you the name of some important course which will go ahead and we will be getting a lot of work in the future. Let us know the course of computers about which can be very important in your life. One of the best course is Basic Computer Course (BCC). That is very good course and it has basic knowledge of computer that every user must need to learn. The course includes basic knowledge of fundamental, History of Computer, Generation of Computer and so on. And In Today’s time, Learning computer’s basic became common, and even in most of the school computer is taught to everyone. Because, without computer knowledge, a person can not save his time and money. Therefore, We should learn computer So that we can save our precious time. You can complete this basic computer course and can get its certificate within 36 hours of online training. In order to download your course certificate, first you need to visit on website and login through your credentials that has been emailed you. Second step, when you successfully login to your account, you will see an option “Get Certificate” Click on that and here you go, your certificate will be saved in your default folder of the system. This entry was posted in Online Basic Computer Course, Online Courses and tagged BCC, bcc certificate course, Online Basic Computer Course, Online Computer Courses on April 3, 2019 by manish. As you all know the computer has become our lifeline now from facebook to google, Amazon to Flipkart, online banking & ticket booking everything is computerized now. Acme Collins School’s Basic Computer course is a certificate training program in which you learn the best way of using the computer. Ours specialize Online Learning Platforms and faculties, project-based training methods make us the best basic computer courses in India. That course will give you proper knowledge of complete ms-office 2013 application software package as well as you will know about require detail of computer hardware, you will learn how to use internet securely for E-Mailing, booking, banking. Class Mode – Online & Offline for those who are nearby institute location.After Course Completion – After completing this Basic Computer Course you will know all basic uses of computer and now you are ready to move for your specialization. This entry was posted in Online Basic Computer Course, Online Courses and tagged basic computer course certificate, bcc certificate course, online certificate course on April 2, 2019 by manish. Question No. 1 What is data ? What is the output of data processing system ? Answer Data are raw facts and figures. Data processing system transforms data into useful information. Question No. 2 State the basic units of the computer , Name the submits that make up the CPU, and give the function of each of the units. The CPU has two sub units : the control unit (CU) and the arithmetic logic unit (ALU). The control unit controls the entire operation being carried out. The ALU performs the arithmetic and logical operations. Question No. 3 What is the funtion of memory ? What are its measuring units ? Answer The memory temporarily holds the data and information during processing. The smallest unit of memory is a byte (8 bits). A byte can store one character in binary form. Other measuring units are kilobyte (KB) equal to 1024 (2) bytes, Megabyte (MB) equal to 1024 KB and Gigabyte (GB) equal to 1024 MB. 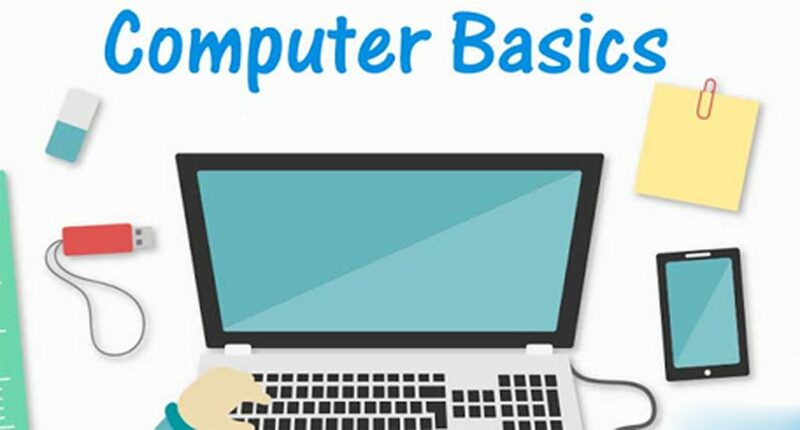 This entry was posted in Online Basic Computer Course, Online Courses and tagged BCC, Computer Basic Concepts, Online Basic Computer Course, Online basic computer problems, Online Certificate, Online Computer Courses on March 22, 2019 by manish. What are the job oriented courses? if you want to enroll in the course So, enroll now and get 50% off, offer expired in 11 days. This entry was posted in Online Basic Computer Course, Online Computer Courses, Online Courses and tagged Job oriented courses on December 21, 2018 by manish. Here I am going to introduce you the Top 5 Free Online Courses list, which are related to technical and non-technical field. As we know that world and technology are running so fast, So we should learn latest courses which are popular and in trending. But Learning Courses which are good and popular, require high fees. But, Here you are going to get Top 5 Courses Which are available in online mode. Now a days Digital Marketing skill are common and everyone wants to learn these skills. But, as we know that learning anything new and fresh takes time. Therefore, most of the person who wants to learn “Digital Marketing” use pre-defined tools for Marketing their online business rather than learning Online Marketing. Learning Digital Marketing Course From Acme Collins School, will gift you the precious knowledge of online marketing, because in this course, you learn through practical business. its study material comes with small quizes. That helps to make your skill perfect. What is machine learning, and what kinds of problems can it solve? Google thinks about machine learning slightly differently — of being about logic, rather than just data. We talk about why such a framing is useful when thinking about building a pipeline of machine learning models. Then, we discuss the five phases of converting a candidate use case to be driven by machine learning, and consider why it is important the phases not be skipped. We end with a recognition of the biases that machine learning can amplify and how to recognize this. C++ is just a extension of C language and as we all know that it was developed by Bjarne stroustrup at bell labs C++ is a statically typed, free form, multiparadigm, compiled general-purpose language. C++ is an Object Oriented Programming language but is not purely Object Oriented. this introduces students to various network and computer security-related topics like cryptography, firewalls, intrusion detection and secure operating systems. This course provides students with assignments and exams, each with solutions. it teaches students the connection between computer programming and algorithms and how they’re used to solve computing problems. Exams with solutions are also included in this course. This entry was posted in 3D Modeling, Academics, Artificial Intelligence, C#, Computer Course, Data Analysis, Data Science, Deep Learning, Deep Learning, Design, Development, Digital Marketing, Electronics, Facebook Marketing, Google Analytics, Graphic Design, Instagram Marketing, Internet, IT & Software, Java, Long term Computer Course, Machine Learning, Marketing Strategy, Master Diploma, Online Basic Computer Course, Online Computer Courses, Online Courses, Python, Science and Technology, SEO, Short Term Computer Course, Social Media Marketing, User Experience Design and tagged Digital Marketing, Google - Machine Learning, Introduction to Algorithms, Introduction to C++, Network and Computer Security on August 6, 2018 by manish. Learning Computer Basic is now become very easy, what you have to do is to learn through practically. as we know Computer Basic Concepts are common to learn. we should have these basic concepts knowledge before we start learning computer course. So, here is the fundamental or Basic Concepts of Computer are discussed below. Computers have made great inroads in our everyday life and thinking. They are put to use for all sorts of applications ranging from complex calculations in the field or front line research, engineering simulations down to teaching, printing books and recreational games. The ease with which computers can process data, store and retrieve it painlessly have made them inevitable in office and business environments. The areas of applications of computers are confined only by limitations on human creativity and imagination. In fact, any task, that can be carried out systematically, can be performed by a computer. Therefore, it is essential for every educated person today to know about computer, its strengths, its weaknesses and its internal structure. And that is what we are going to explain in this going to explain in this chapter. DEF – A computer is an electronic device that can perform a variety of operations in accordance with a set of instructions called program. Computer can access and process data millions of times faster than humans can. A computer can store data and information in its memory, process them and produce the desired results. Computers can do a lot of different tasks such as playing games, railway reservation, weather forecasting, error detection and controlling the flight of a space aircraft etc. A computer is used essentially as a data processor. The terms data and information are very commonly used. You must clearly understand the difference between the two. Data – Data in computer terminology mean raw facts and figures. For example “Mohan’ 1977, ‘A’, – 162.19, + 75.2 are data. Data are processed to form information. Information – It means what we get after processing data (meaningful data). Data are aggregated and summarized in various meaningful ways to form information. For example ‘Mohan, whose roll number is 1977, has got grade A’ is an information as it is conveying some meaning. As you know that a computer is an electronic device that can perform a variety of operations accordance with a set of instruction called program. In this section, we shall discuss the functioning of computer. But before we start discussing the functioning of a computer, let us understand the way we function. To understand this, we will take some examples. Consider a case when your mother asks you to bring a cake and pastries for a party from the market. You go to the market, purchase both the things and give it to your mother. You want to talk to one of your friends. His phone number is 7455165. So you dial up the number and speak to your friend. Your mom has to make tea. So she takes some things (ingredients) i.e. ¾ cup of water ½ teaspoon tealeaves, ½ teaspoon sugar and ½ cup of milk. She makes the tea by following certain steps like boiling water, adding tealeaves sugar and milk Finally you get prepared tea. These examples illustrate the way we human beings function. Consider all the three examples. There are certain things common in them. In all the examples certain things were needed to work upon, the actual work was then carried out accordingly and finally the result was obtained. Following table 1.1 explains it. Mummy’s order of purchasing cake and pastries. Example 2 Your desire to make a phone call at number 7455165. Making phone call. Chat with your friend. Example 3 Making a cup of tea with given ingredients The process if making tea. Prepared tea. All the examples undergo these three stages. The first stage (things to work upon) is called input stage. The second stage (the actual work being performed) is called process stage and the third stage (the result) is called output stage. Certain input is needed to accomplish a task. A process is carried out on the input to obtain the output. Every task follows this Input-Process-Output cycle (IPO cycle in short). A computer is not an exception to this rule. A computer also follows the I-P-O cycle i.e., it needs certain input, carries out a process and produces the output. This entry was posted in BCC, Computer Course, Free Courses, IT & Software, Learning Strategies, Master Diploma, Online Basic Computer Course, Online Computer Courses, Online Courses, School and tagged Basic Computer Concepts, Basic of Computer, Computer Basic Concepts, Computer Basics, Learn Computer, online Courses on June 29, 2018 by manish.